NEW DELHI (AP) — India on Friday banned a pro-independence group in its portion of Kashmir as part of a crackdown on separatist organizations. A government statement said it declared Jammu Kashmir Liberation Front an “unlawful association” as it tries to curb the activities of secessionist organizations posing a threat to the country’s unity and integrity. 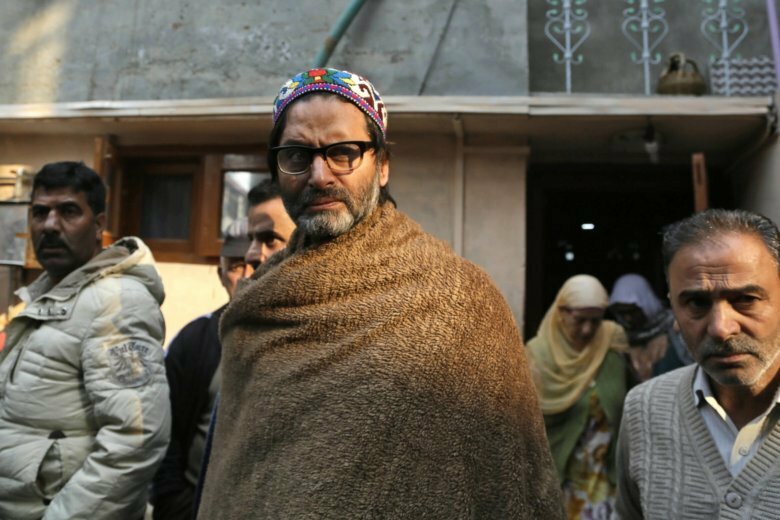 The group’s leader, Yasin Malik, was arrested recently in a counteroffensive against dissent following a Feb. 14 suicide attack that killed 40 Indian soldiers in Kashmir. Over a thousand people have been arrested since then. The government accused the group of raising money and distributing it to separatists to fuel unrest and subversive activities in the Kashmir Valley. The group didn’t immediately offer a statement. It was one of the pioneers of armed struggle in Kashmir and was banned in 1990. The ban wasn’t extended after the group declared a unilateral cease-fire in 1994. Since then, it has challenged India’s sovereignty in Kashmir politically. In February, the Indian government declared another anti-India group, the Jamaat-e-Islami, an unlawful association. It said the group has been providing recruits, funding, shelter and logistics to a Pakistan-backed rebel organization, Hizbul Mujahideen. Insurgent groups have been fighting for Kashmir’s independence from India or its merger with Pakistan since 1989. Kashmir has been divided between India and Pakistan since they won independence from British colonialists in 1947. Both countries claim the region in its entirety and have fought two wars over its control. India accuses Pakistan of arming and training the insurgents, a charge that Islamabad denies. Pakistan says it provides only diplomatic and moral support to the rebels fighting Indian rule. Tensions escalated last month after India launched an airstrike inside Pakistan, targeting militants blamed for the Feb. 14 suicide bombing on Indian paramilitary soldiers in Indian-controlled Kashmir. Pakistan retaliated by shooting down two Indian planes and capturing a pilot, who was later returned to India. India says it lost one plane. International pressure has helped prevent the situation from worsening between the two countries.